I finally bit the bullet last week and outsourced the manufacturing of parts for the first time. The mountain wheelchair frame is in part being made using BMX bicycle forks. The parts at the end of the forks, where the motor axles sit, are called dropouts. 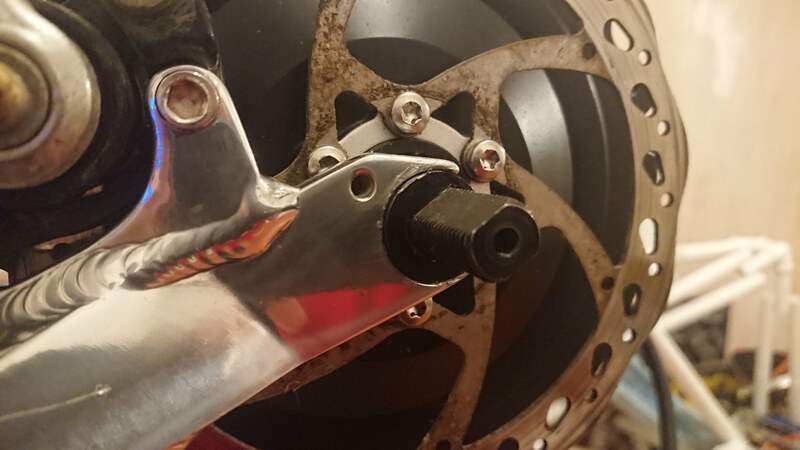 Looking at the image below, you can see that there is a circular indentation in the dropout where the motor axle sits. This indentation is intended for quick release wheels. If the cyclist doesn’t tighten up their quick release wheels properly, then this raised edge will help to prevent the wheel from falling off. The common term given to the raised edge is a “Lawyer’s Lip”. I believe this is because they were added for legal reasons. For the mountain wheelchair a quick release mechanism isn’t needed. 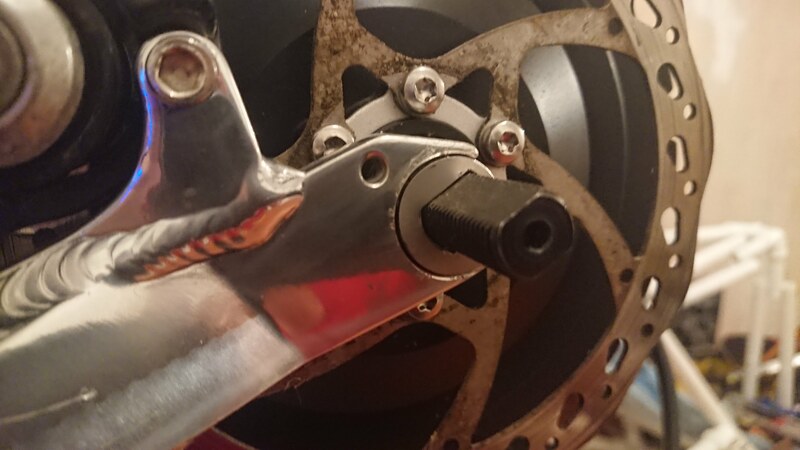 In fact, it creates a problem; because the axle isn’t perfectly centred in the dropout, this means I don’t have a washer to fit, and therefore the nuts which hold the wheel in place will only press against the raised edge. The front forks on BMX bikes were designed for any amount of torque; they just hold the front wheel in place whilst all the drive comes from the back wheel. Considering the torque produced by the wheelchair motors, this becomes quite a large problem. If the nuts holding the wheel in place only press against this raised edge, then it’s quite likely that the wheels would fall off whilst driving the wheelchair in the mountains. Safe in the knowledge that my measurements were correct, I started looking for quotes to laser cut the washers from stainless steel. The first quote for 20 washers was £150! Eek! That’s a lot of money just for a few washers. The following day, another quote arrived for £80. Looking through the pricing structure, I realised that the £80 was a minimum fee, and that my parts were actually only costing £12. After discussing this with them, I discovered that I can order 150 washers for the same price as 20, so this is what I decided to do. Hopefully I can sell these on eBay and recover the costs. After all, I can’t be the only person having to overcome this problem. As I say, this is important for the mountain wheelchair because it will go some way to preventing the wheels from falling off, and it’s my first experience of outsourcing some of the work. 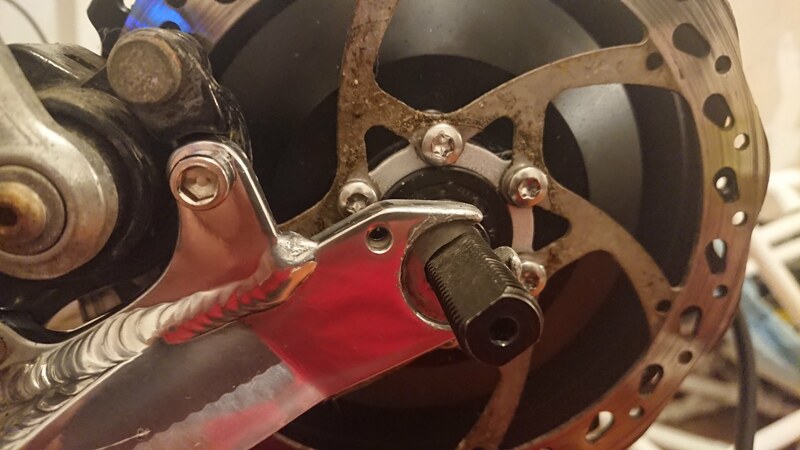 As said though, the forks aren’t designed for high torque motors, so whilst this will help to stop the wheels from slipping off, it does nothing to prevent the forks from snapping. I do have an idea for this, but this will have to wait for the moment as I have plenty of other things to be getting on with.